Recently I had the opportunity to respond to a request from St. Bernards Church in Fitchburg, MA. Haitian Outreach Update requested that I send a few coloring books to impoverished children on Haili. I learned that there are no monarch butterflies on the Island. I thought the children would get a lot of pleasure from the coloring books. The organizers said they had donation of crayons. Can you image being so impoverished that a child doesn’t even have a coloring book? 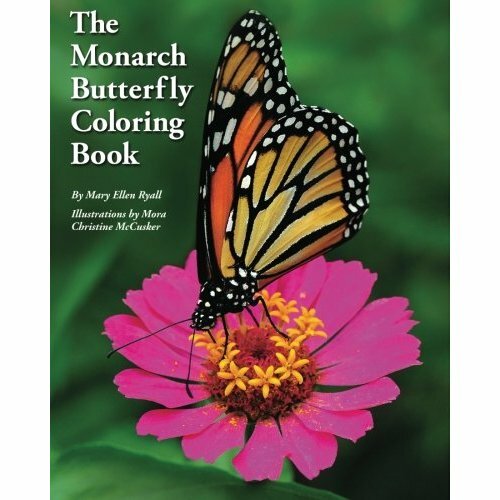 Imagine a child’s joy when the pages are opened in the book and a big beautiful butterfly is ready to be born and colored. Great Joy can be waves of positive energy make the World a better place, when we do something for some one else or another species be it plant, insect or animal.